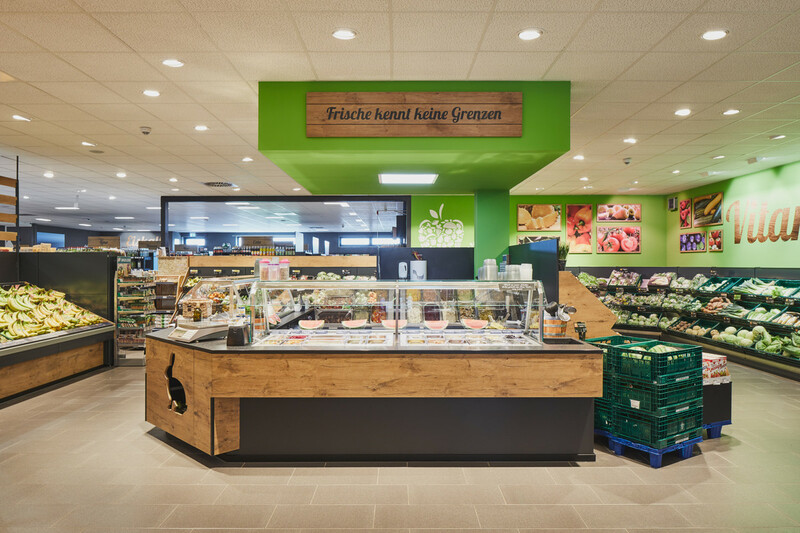 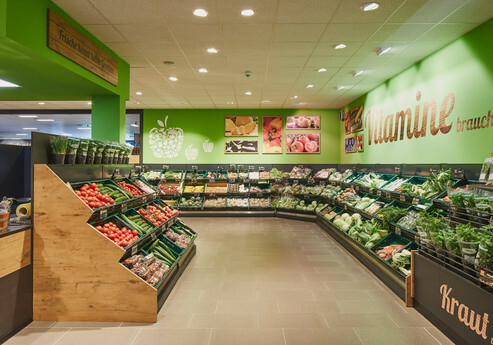 The EDEKA market impresses with its straightforward, down-to-earth design valued by all ages. 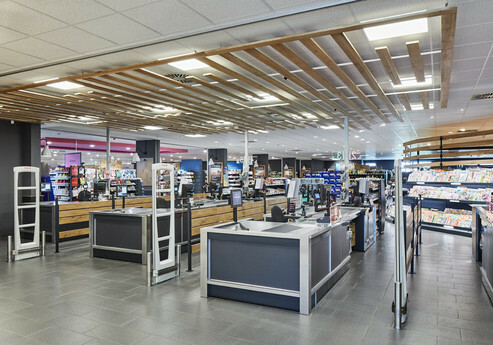 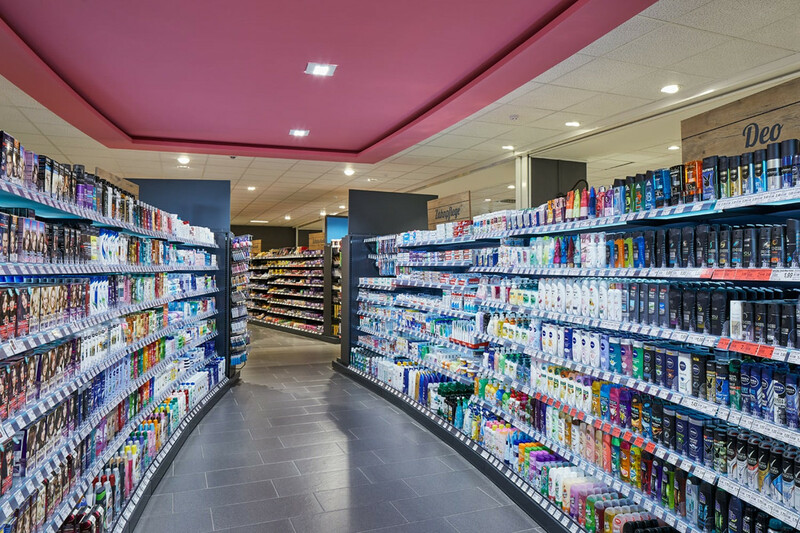 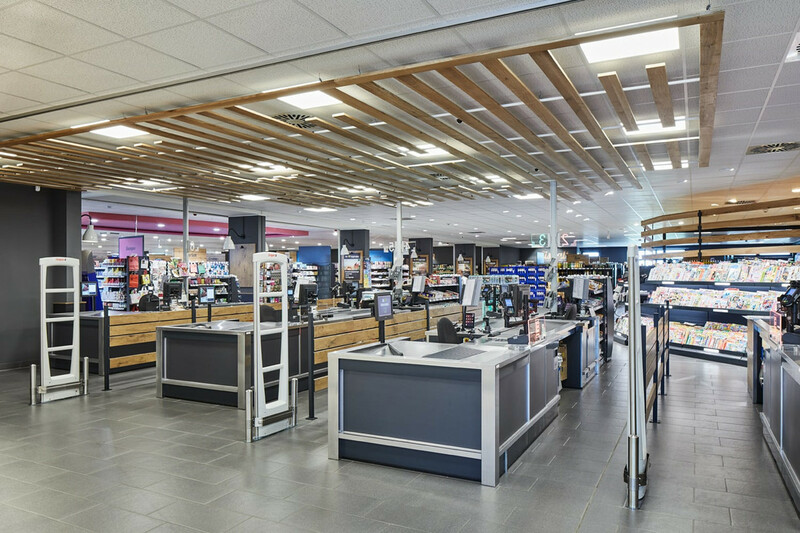 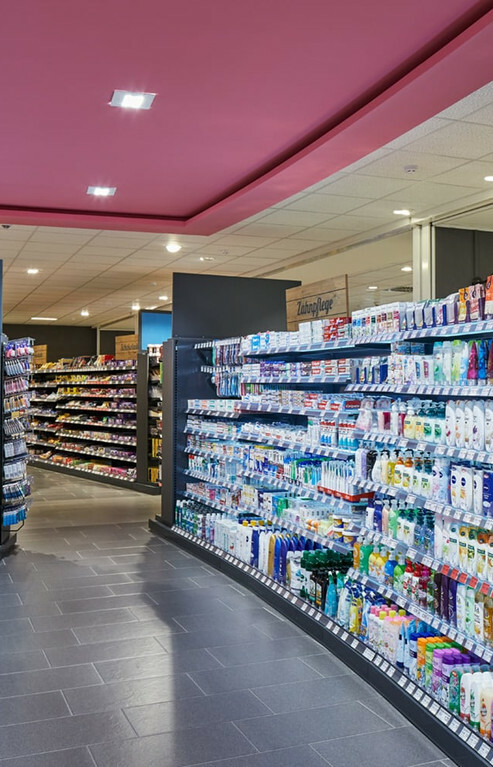 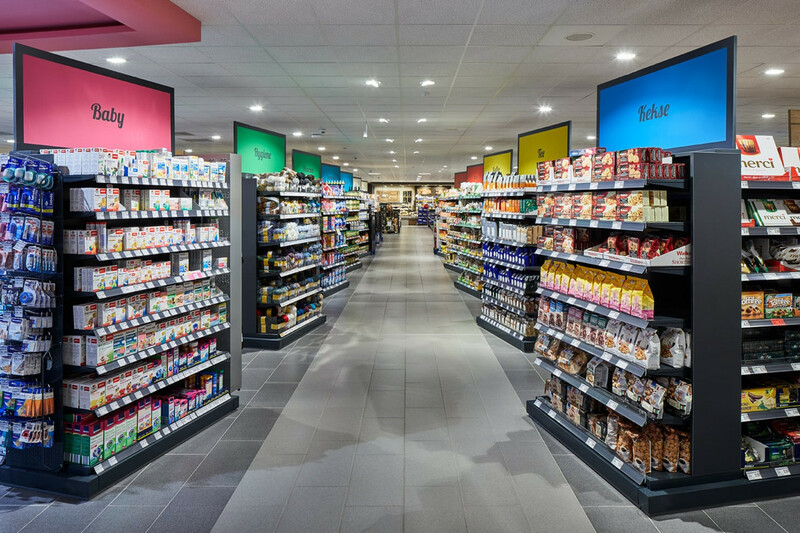 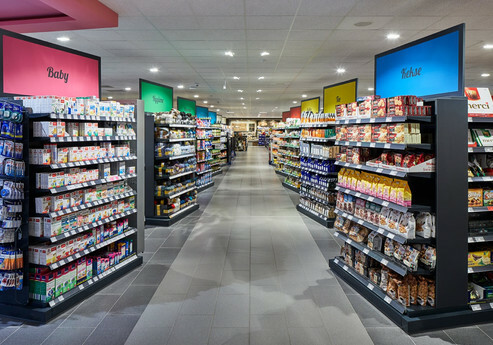 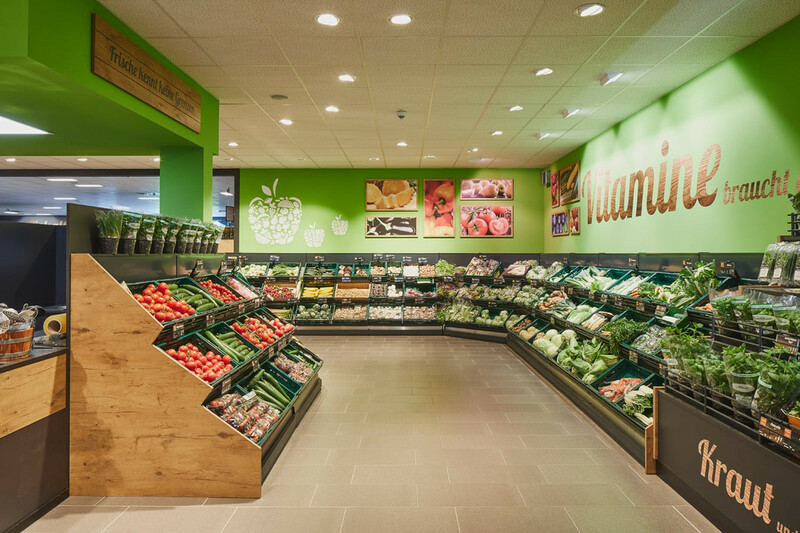 The colour scheme, visuals and the ceiling design, assortment labelling, store layout and outdoor advertising are all parts of a consistent concept. 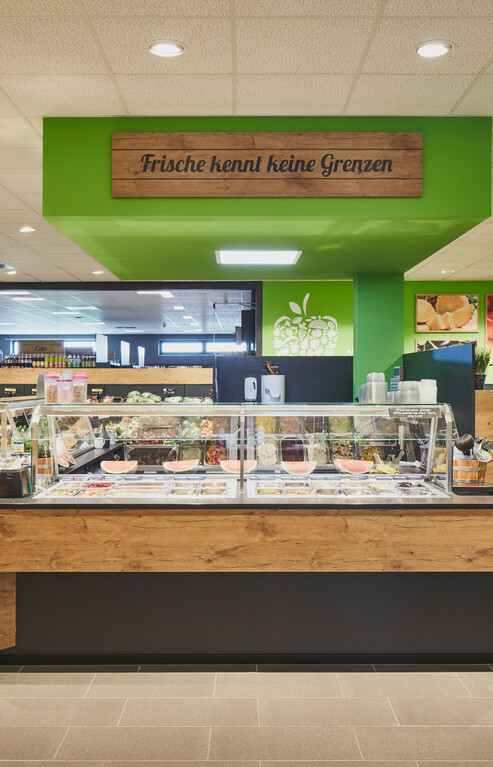 The market’s “green oasis” – its fruit and vegetable section with a prominently staged, impressively stocked salad bar – is a special highlight. 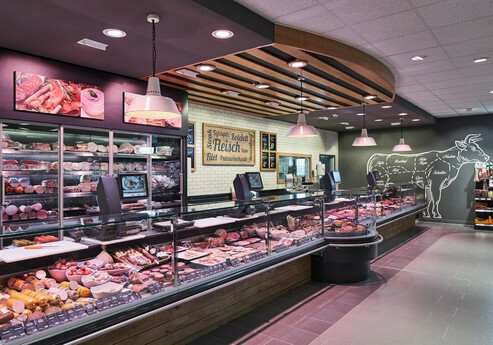 From there, you can view the entire market. 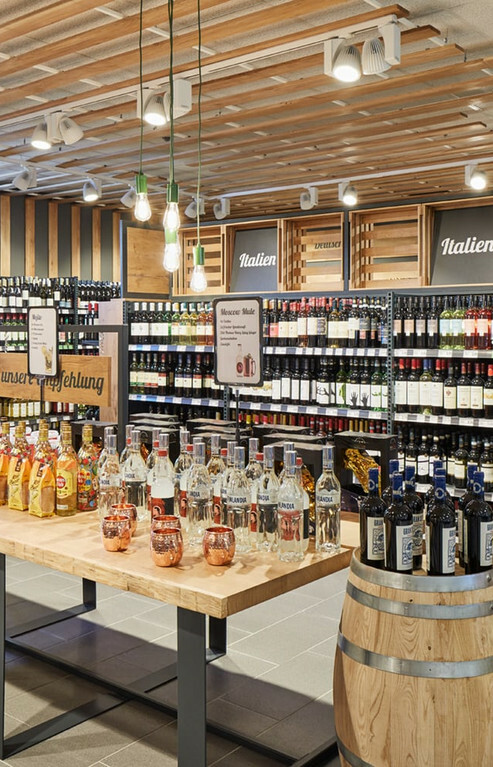 The winery installed in the rear of the store exudes a Mediterranean air with its warm hues and wine box decorations. 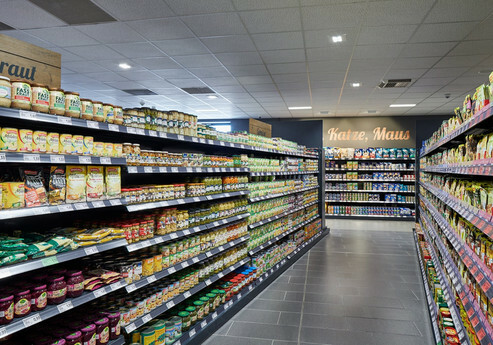 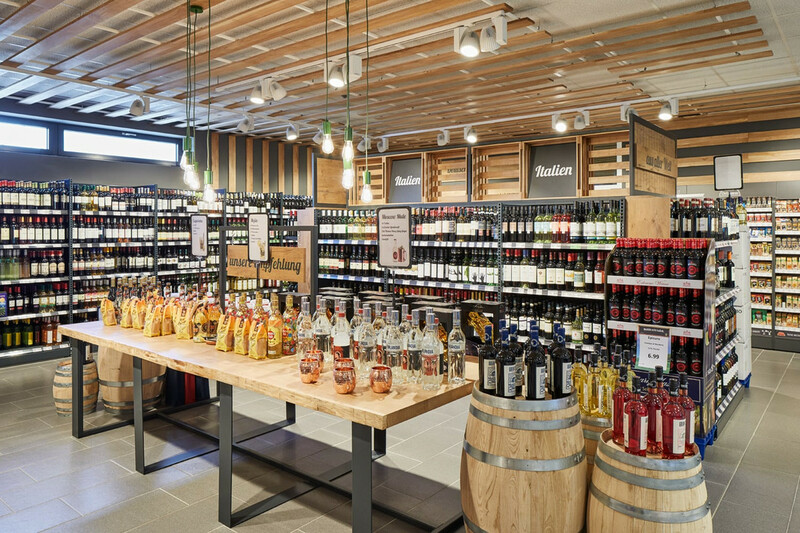 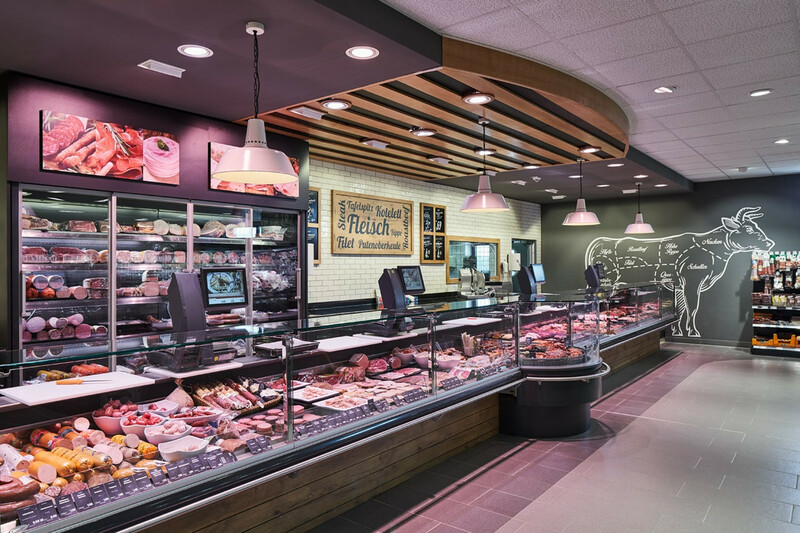 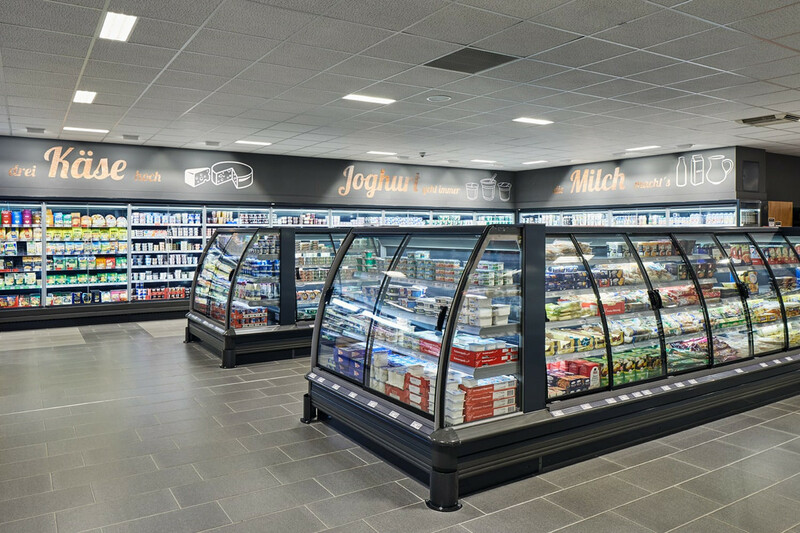 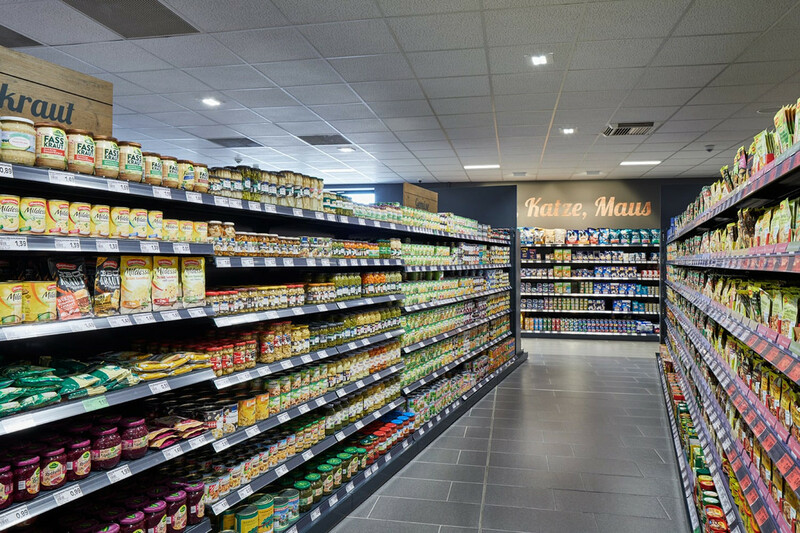 An eye-catching ceiling design in several sections of the EDEKA market emphasises individual areas and highlights the market’s sophisticated design concept.